Woodhead® Aero-Motive® Slip Rings are designed for harsh environments to deliver electric current from a stationary position to a rotating component. Woodhead® Aero-Motive® SR-series slip rings have copper-graphite brushes with braided-copper shunts and copper-alloy rings to provide maximum conductivity. Stainless-steel compression-brush springs provide constant, positive-brush contact. Brush holders feature phenolic, hinged, stainless-steel mounting clips for easy installation and proper alignment. Insulators are shock and moisture resistant with high dielectric strength and zinc-plated mounting studs for corrosion resistance. Woodhead® Aero-Motive® AG-series silver slip rings (milliamps) are designed with silver-plated rings offering maximum conductivity and signal quality. 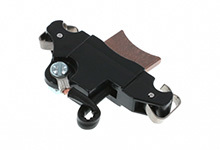 Brushes with silver contacts and braided-copper shunts provide lower contact resistance. 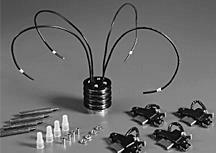 These slip rings are ideal for TV circuits, voice communications, thermocouples, strain gauges, and low-current signals. Component-kits slip rings (30, 35 and 75A, horizontal or vertical mounting) are designed for applications where size is critical. 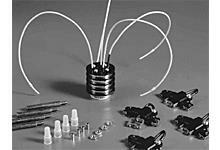 The component-kit slip ring has a shorter overall length of approximately 38mm (1.5") than the self-contained kit. An additional feature is that fewer components make this a more economical choice; however, it does require extra mounting time. The brush studs require mounting to a plate assuring proper alignment of the brushes to the ring. 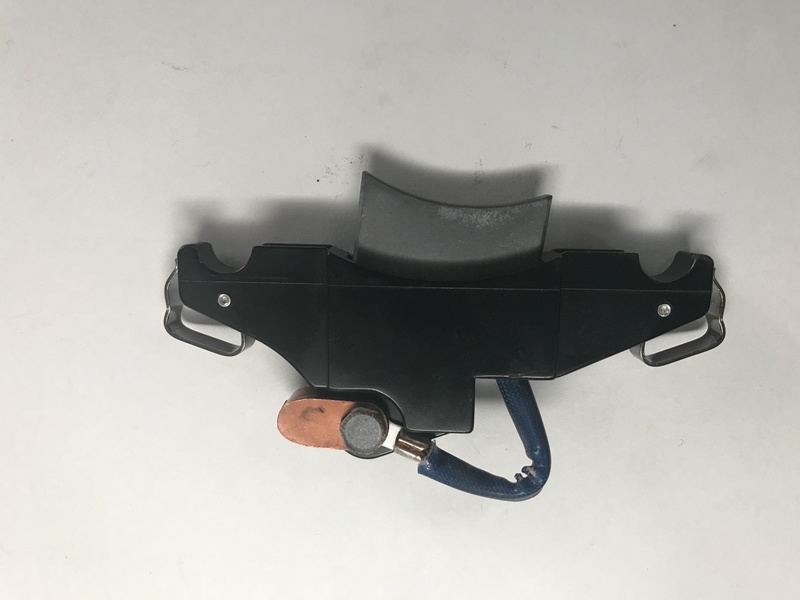 The brush studs are secured on one end only and have limits to length of the slip ring to the number of conductors available. 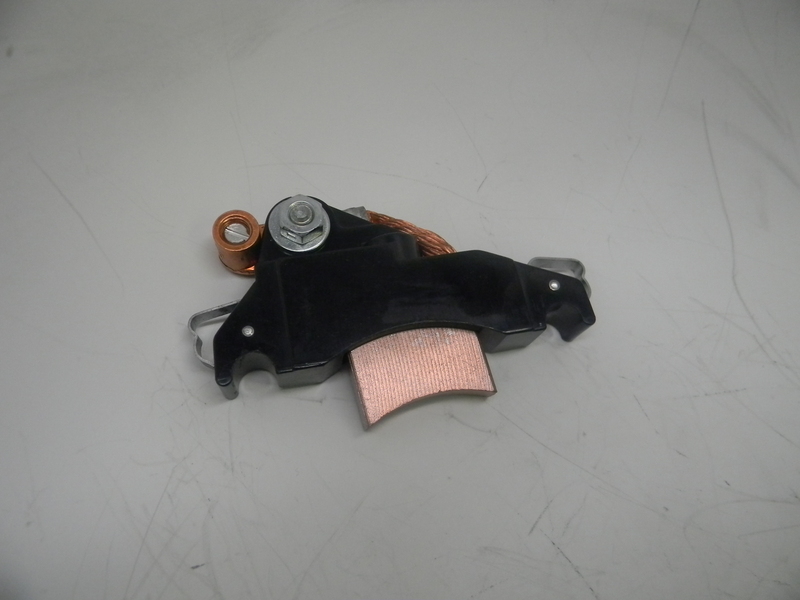 The lead-wire connection is at the end of the slip ring. Self-contained slip rings (30, 35, 75 and 200A, horizontal or vertical mounting) are the most popular slip rings and are easily mounted. 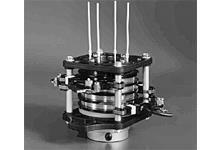 The slip ring installs on a shaft approximately two-thirds the length of the ring. 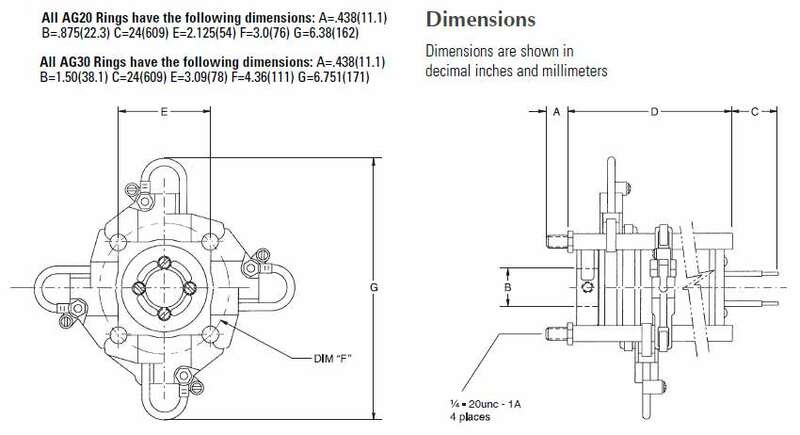 A 9.53mm (.375") drive pin that engages in the drive plate guides the brush assembly movement. Additionally, these slip rings offer a greater option of conductors and are easily replaced. 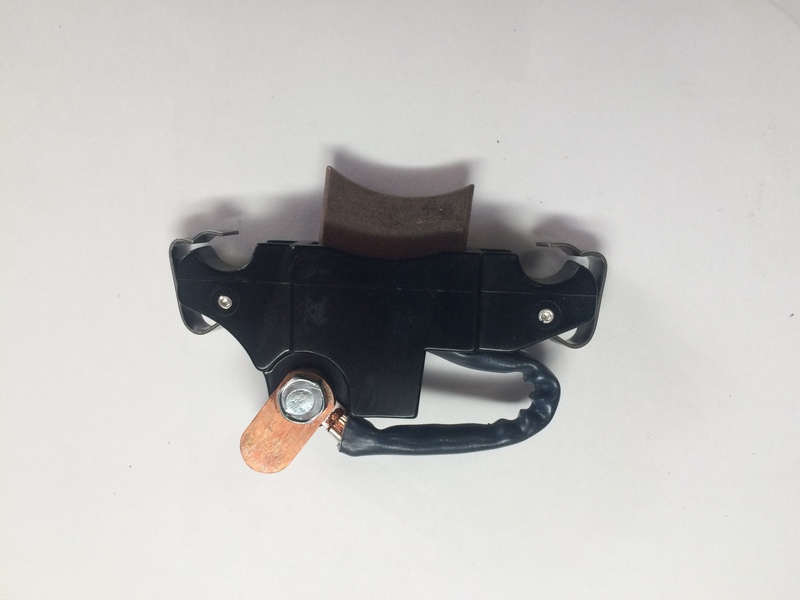 The lead-wire connection is at the end of the slip ring and no brush studs need mounting. Enclosed-slip rings (vertical mounting) are designed for indoor and outdoor applications. For weather-tight operation, the enclosed slip ring must be installed with the main shaft vertical and pointed down allowing the breather drain to function properly. A 25.4mm (1") NPT female thread is provided in the main shaft for mounting on external equipment; however, fuse protection should be provided. 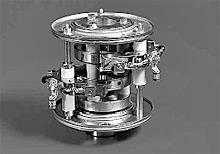 Horizontal mounting is optional; in this case, the enclosed-slip ring will not be weather-tight. (8LBS) H 6.00" L 10.00" W 6.00"
(10LBS) H 6.00" L 12.00" W 6.00"
(10LBS) H 6.00" L 10.00" W 6.00"
(10LBS) H 8.00" L 8.00" W 8.00"
(12LBS) H 8.00" L 16.00" W 8.00"
(12LBS) H 8.00" L 18.00" W 8.00"
(16LBS) H 8.00" L 24.00" W 8.00"
(10LBS) H 8.00" L 10.00" W 8.00"
(10LBS) H 8.00" L 12.00" W 8.00"
(10LBS) H 8.00" L 8.00" W 12.00"
(12LBS) H 8.00" L 8.00" W 14.00"
(18LBS) H 8.00" L 8.00" W 20.00"
(20LBS) H 8" L 18" W 8"
(20LBS) H 8.00" L 8.00" W 22.00"
(16LBS) H 8.00" L 8.00" W 24.00"
(32LBS) H 8.00" L 8.00" W 36.00"
(38LBS) H 8.00" L 8.00" W 44.00"
Test also indicated the noise level at zero, peak-to-peak, at 100 K hertz. when amperage or voltage are at low levels. With no measurable change in resistance during rotation or breakaway. And signal distortion when amperage or voltage are at low levels. change in resistance during rotation or breakaway. (10LBS) H 10" L 14" W 10"
Maximum Temperature 248 Degrees F.
(16LBS) H 8.00" L 14.00" W 8.00"